Judgment: Affirmed in part and reversed in part, 5-4, in an opinion by Chief Justice Roberts on June 28, 2012. The Anti-Injunction Act does not bar the challenge to the constitutionality of the mandate, and five Justices (the Chief Justice, joined by Justices Ginsburg, Breyer, Sotomayor, and Kagan) agree that the individual mandate is constitutional. Seven Justices (the Chief Justice and Justices Breyer and Kagan, along with Justices Scalia, Kennedy, Thomas, and Alito) agree that the Medicaid expansion violates the Constitution. Justice Ginsburg filed an opinion concurring in part, concurring in the judgment in part and dissenting in part, in which Justice Sotomayor joined, and which Justice Breyer and Kagan joined except as to Medicaid expansion. Justices Scalia, Kennedy, Thomas and Alito filed a dissenting opinion. 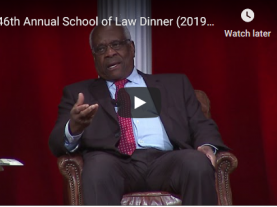 Justice Thomas filed a dissenting opinion. 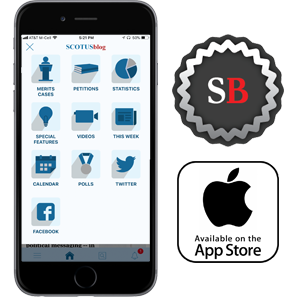 SCOTUSblog’s highlights from the argument audio are here. Brief for the Competitive Enterprise Institute et al. Brief for the National Indian Health Board, et al. Brief for California et al. Brief for the American Public Health Association et al. Brief for the American Medical Student Association et al. Brief for Asian & Pacific Islander American Health Forum, et al. Brief for Florida et al. Reply brief for Florida et al. Brief for Association of American Physicians et al. Brief for Indiana State Legislators et al. Brief for the American Hospital Association et al. Brief for David Satcher, M.D., Ph.D., et al. Brief for National Health Law Program et al. Brief for Oregon et al. Amicus brief of Lawrence J. Dickson, Ph.D.